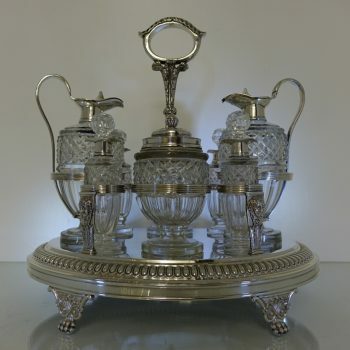 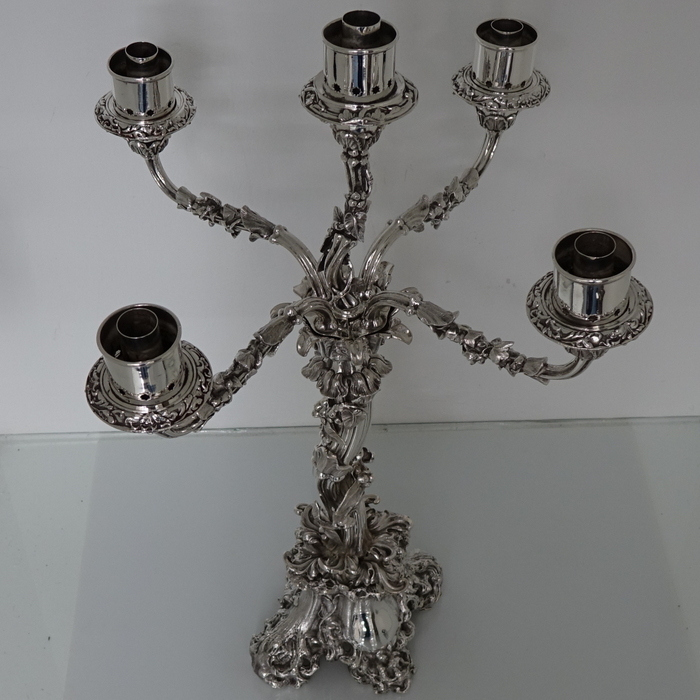 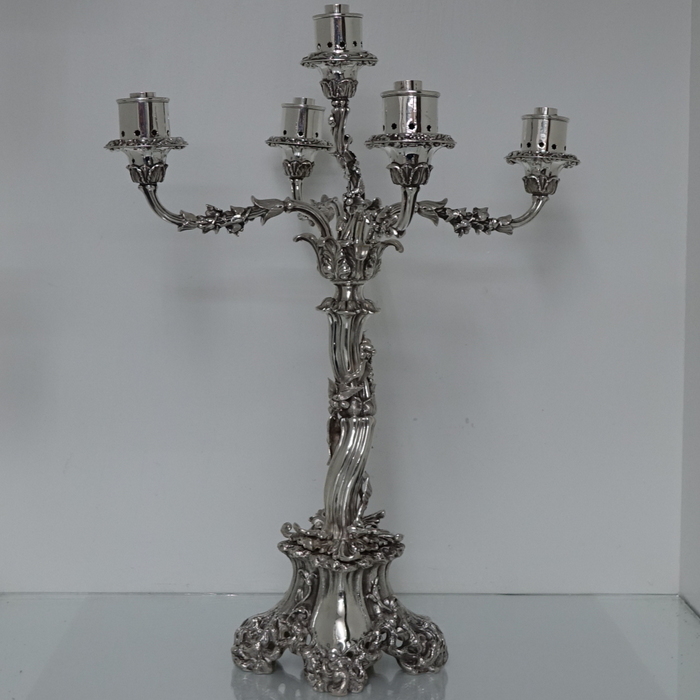 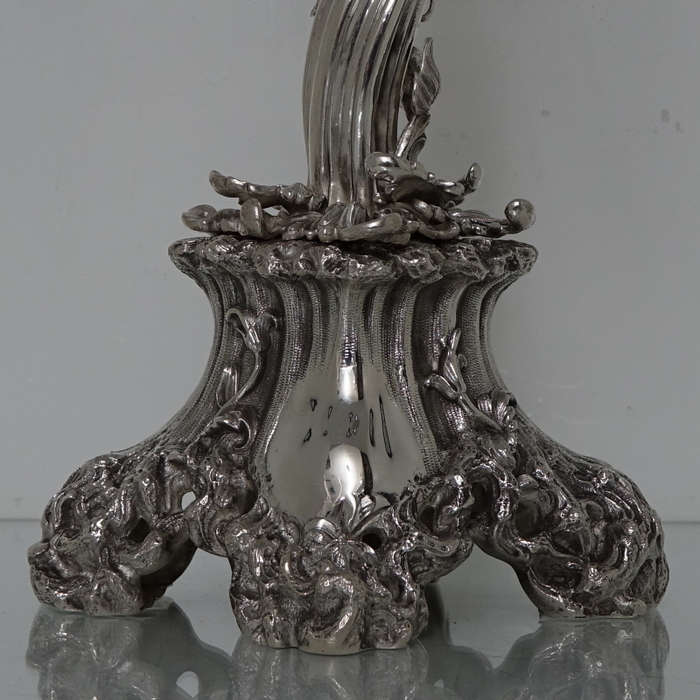 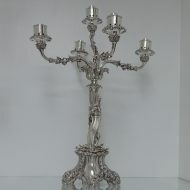 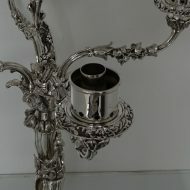 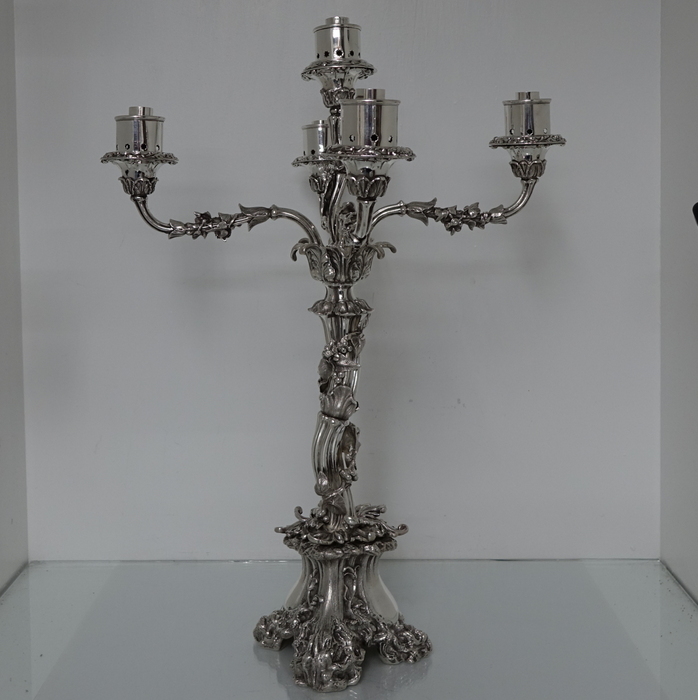 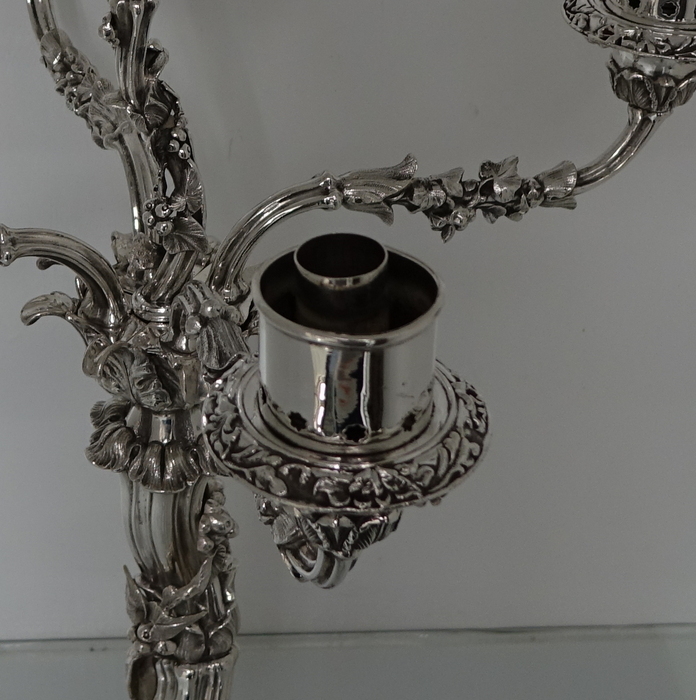 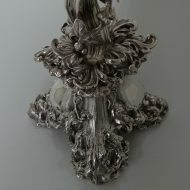 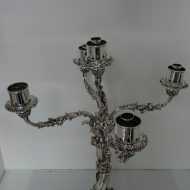 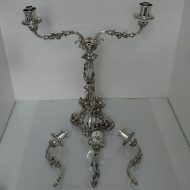 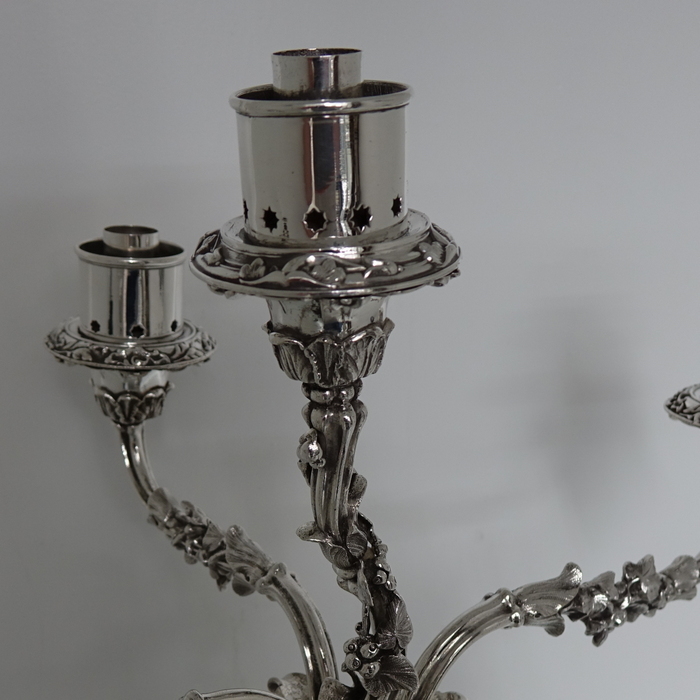 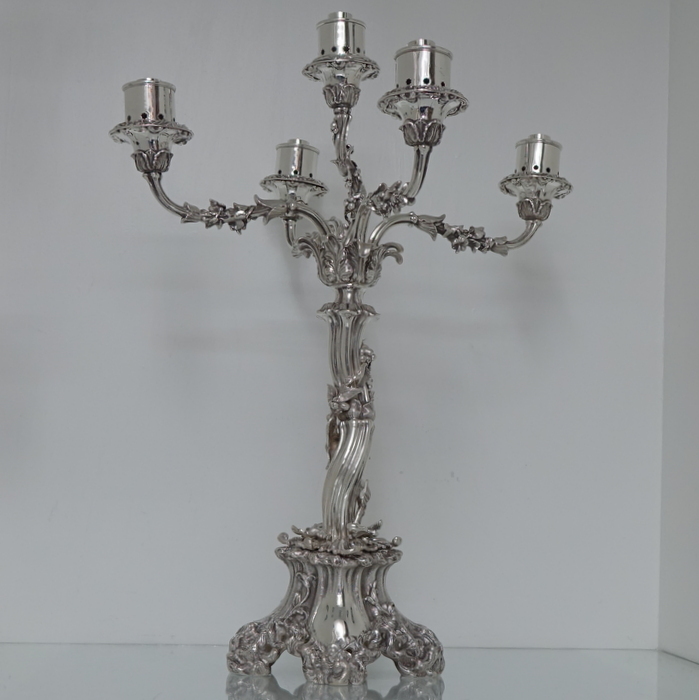 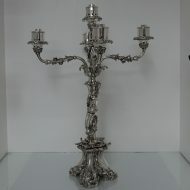 A very rare and highly desirable five light table candelabrum/centrepiece with storm fittings. A very rare and highly desirable five light table candelabrum/centrepiece with storm fittings. 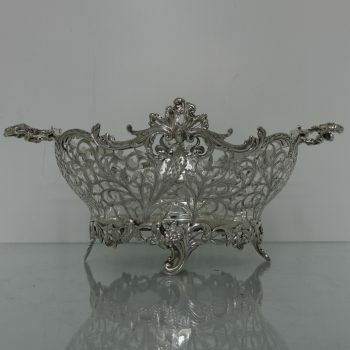 The base is oval and has been ornately designed with naturalistic decoration. 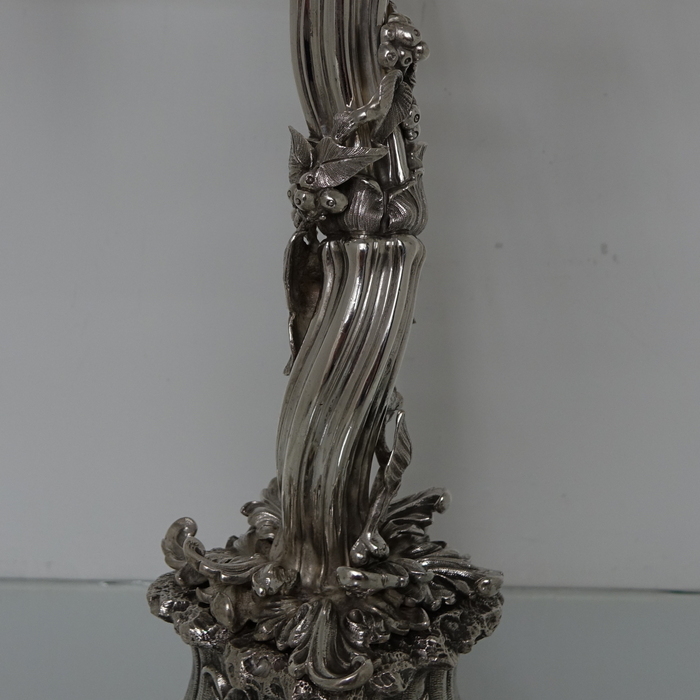 The central column is very stylish with floral and foliage workmanship entwined around. 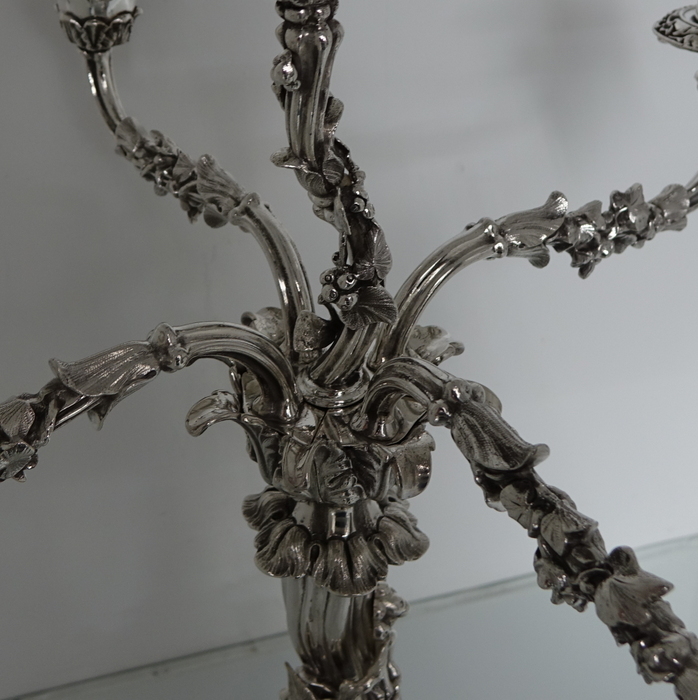 The branches are detachable and has additional floral and foliage workmanship for added highlights.